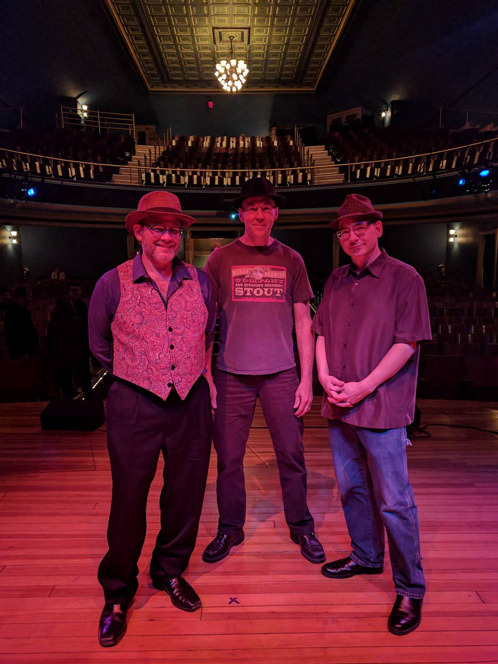 This spring, thanks to my friend Biff, I was able to play a gig that had been a dream of mine: the Stoughton Opera house. In part 1 of this story, Biff and I formed the band Pearl Handle with Reid “Dr. Souz” Johnston and played probably the most exciting set of my rather spotty career. As it happened, the Pearl Handle set was only the beginning of a memorable evening. Following our impromptu duet during his sound check (see part 1), Emo and I went downstairs to check out our respective dressing rooms. As my bandmates and I were gawking at the feast that had been laid out for us, Emo popped in and mentioned that he would be up for some kind of jam session after the show. We all agreed that would be splendid, and made plans to head back to our rehearsal space at Clutch Sound later that night. After Emo finished signing autographs and taking pictures with fans (if I forgot to mention it, his set was hilarious – the guy is a master), we headed to the parking lot – where I discovered that I would be serving as Emo’s chauffeur for the night – and off to the studio. At Clutch, we found owner Brian Liston working on some tunes with a guitarist. We were invited to set up our gear in the big room, where Brian projected his iPad onto the wall and found some song charts for us to jam to. The selections were mostly old gospel and tin pan alley tunes suggested by Emo, and along with the guitarist (sorry I can’t remember you name! ), Brian on keyboards, and Biff on Drums, we had a fine hootenanny. As I drove Emo back to his hotel, we talked about music, art, and life. He asked whether his recorder tone had been too piercing, and decided to switch to a lower-pitched alto or tenor model. 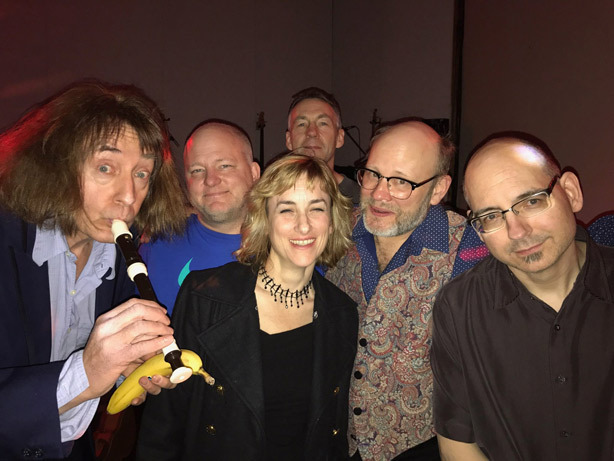 It had been quite a heady evening for me, playing a classy venue with a great band (and getting a great response), and hanging out with a guy who’s written the 44th funniest joke of all time (as well as the 54th and 55th). Not only had I had a “brush with fame,” but I felt just a little famous myself.